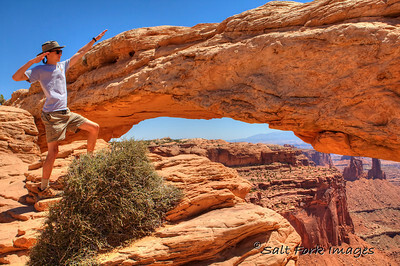 Today we explored Canyonlands National Park near Moab, Utah. 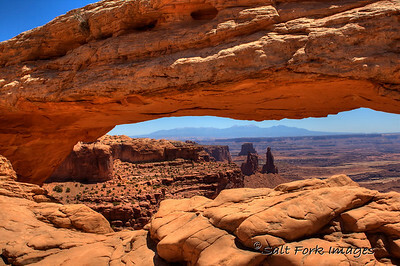 Canyonlands is about 40 miles from Moab and is not as busy as Arches National Park. It is, however, just as spectacular - in its own way. 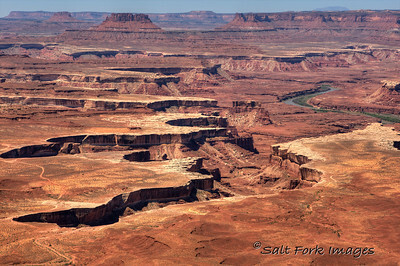 We visited the Islands in the Sky district which is characterized by expansive views of the amazing canyons which form the confluence of the Colorado and Green Rivers. This is the view from the Green River Overlook. We also took a short hike to Mesa Arch. Here's a shot of Aaron being...... Aaron. 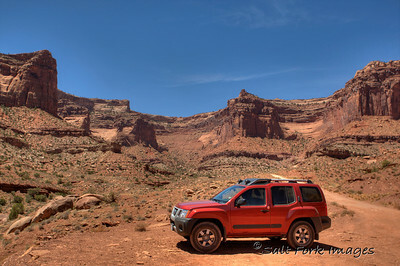 And then we did something that has made Canyonlands famous: We did a little 4x4-ing. 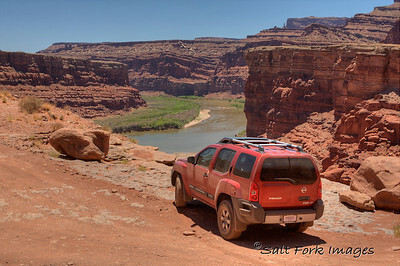 We took the Shafer Trail down the side of the mountain to Potash Road which we followed all the way back to Moab. It was one of the coolest things we've done. 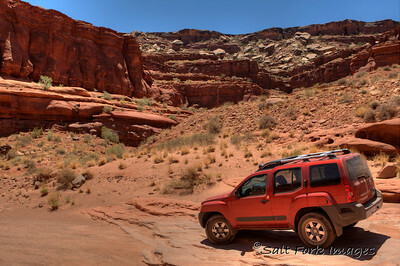 We drove along ledges with thousand-foot drop-offs right outside our doors. First gear and 4-Low kept us from running off the ends of the switchbacks but nothing helped with the bone-jarring road surface. Here are a few shots that might be of interest to Nissan. 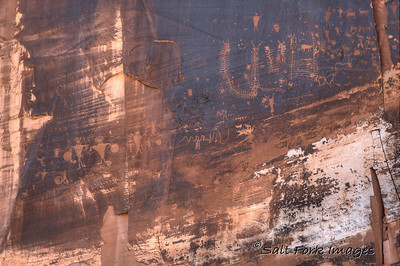 As we got back to asphalt and Moab we saw some cool Indian Petroglyphs right along the road. Click the photos to see the rest of the gallery and be sure to check the blog again later to see what else we're doing on Day 7.